This weekend we took to the streets of Dublin to try out the latest gadgets from Acer in the #AcerLiveBlog challenge. So far we’ve reviewed their Iconia One 8 tablet and Switch 10 E convertible – and now it’s time for the triumphant conclusion, as we take a look at the Liquid Jade Z smartphone! The Liquid Jade Z looks very similar to its predecessors, with a 5-inch IPS display running at 720p resolution. 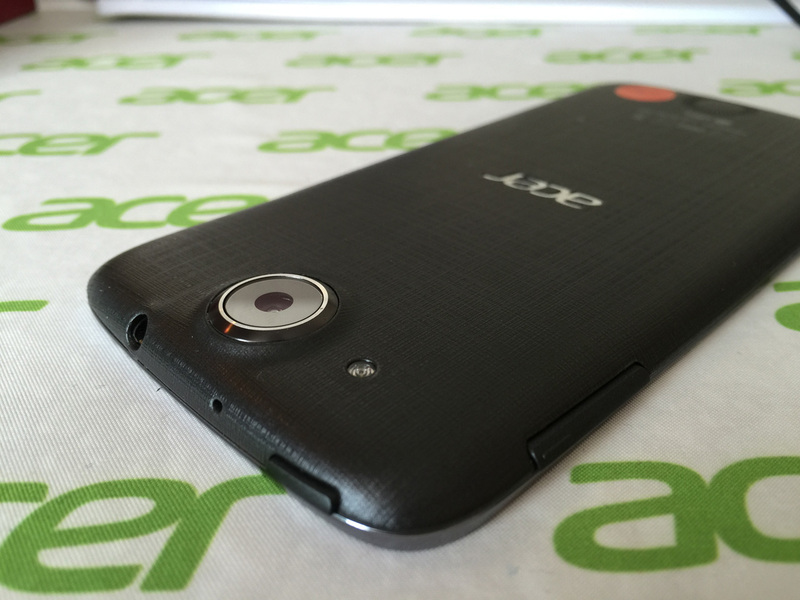 The display is capped top and bottom by silver accents; a 5-megapixel front-facing camera at the top and a small Acer logo at the bottom. On the back, we have a 13-megapixel camera plus flash. In the centre, there’s another larger Acer logo, while at the bottom we have various bits of regulatory information. The back uses the same brushed-texture plastic as the Switch 10 E, and makes a welcome change from the rather dated glossy black plastic of the original Liquid Jade. The camera sticks out a bit from the body, which could lead it getting scratched up. It also means that it doesn’t sit perfectly flat on a table, a flaw shared by the iPhone 6 and a range of other recent phones. At the top of the mobile we have the lock button (a silly placement), microphones and a headphone jack. There are the usual buttons on the right, and a micro SD card slot which can instead fit a second SIM card if desired. The bottom of the handset includes a large speaker ring underneath DTS branding, with a micro USB port near the bottom-right corner (as you hold the phone with the screen facing you). Overall, there are few noticeable changes from the Liquid Jade we looked at last November, but the Jade Z remains one of the slimmer and lighter phones on the market. If you’re used to carrying around a 5.5-inch phablet like the iPhone 6 Plus, then the Jade Z will be hard to even notice in your pocket. One of the highlights of the Liquid Jade Z was its camera suite, which consists of a 13-megapixel shooter on the rear and 5-megapixel front-facer. The camera produced sharp images in good light, although its performance in low light was less impressive. Video also proved fairly good, as this AcerVine shot by Katharine, Kate and myself in Dublin’s Trinity College ably demonstrates (kinda). 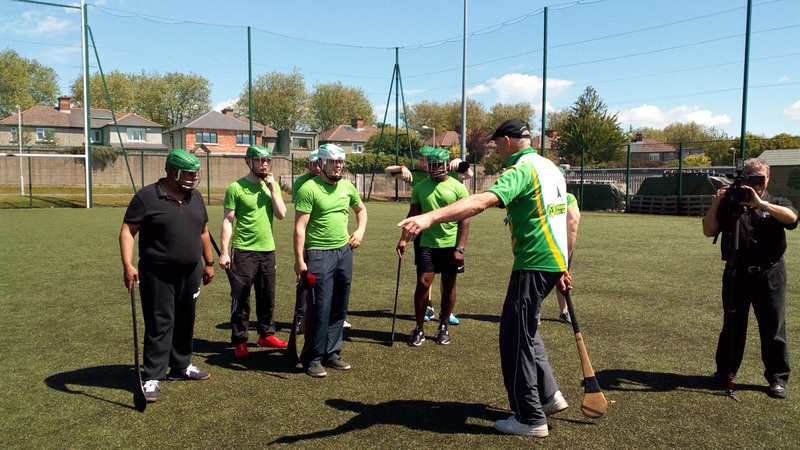 This longer clip of the #AcerLiveBlog crew playing Gaelic handball is a better test, and the Jade Z seems to offer reasonable quality and decent sound. However, it did display a few quirks – one video taken was completely unfocused throughout, and this one was somehow recorded at a 90 degree angle, necessitating a quick edit in Movie Maker. 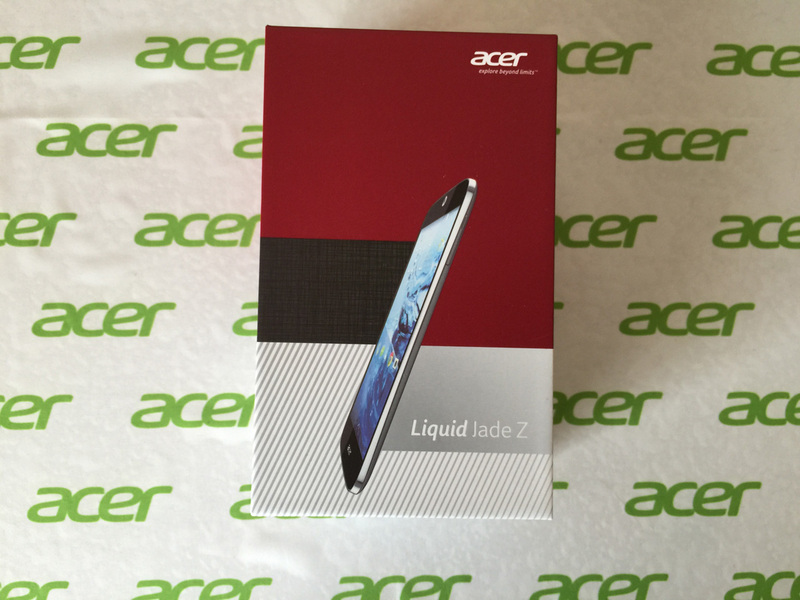 The Liquid Jade Z runs Android 4.4, with Acer promising an upgrade to 5.0 Lollipop in the future. Acer tend to add fairly little to stock Android apart from a few Acer-green flourishes and a few apps which you can use or ignore at your preference. In combination with the quad-core MediaTek processor, this resulted in fairly robust performance for day-to-day use. Still, the most intensive games and apps won’t run as well here as they will on more powerful (and more expensive chipsets), such as Qualcomm’s Snapdragon 6xx and 8xx series CPUs. I didn’t use the Liquid Jade Z to get a good feel of its battery life, but it didn’t seem noticeably better or worse than the original Liquid Jade. Given that it has a slightly larger capacity and a slightly more power-efficient processor, getting a full day’s usage should be easily achievable. Ultimately, I was impressed by the Liquid Jade Z. The phone is reasonably powerful and has a good camera, yet costs little and takes up a very small amount of space. If you’re looking for a good alternative to the giant, expensive smartphones on the market, Acer have made a fine option here. n.b. This is a capsule review, based on two days spent with the Liquid Jade Z on an Acer-sponsored press trip to Dublin, Ireland. Photos were taken with an iPhone 6 Plus in less than ideal lighting conditions, so please excuse any lapses in quality.